LOL! When will Trump shut down the NSA spying on EVERY human? He's the boss!! Why doesn't he do that? Did he think he was exempt? HE'S THE BOSS!!! - HE CAN STOP THIS VIOLATION OF OUR CONSTITUTIONAL RIGHTS! ... I think we are in that process ... we can hope. It will be hard to turn back time on technology. A congressional investigation has revealed that the Obama administration channeled billions of dollars to activist groups through a Department of Justice slush fund scheme. 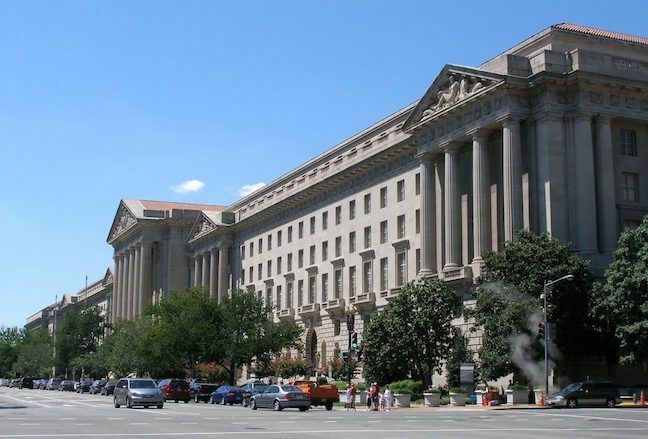 The House Judiciary Committee discovered a secretive process in which funds were dispersed to a web of nonprofit organizations engaged in grass-roots activism. The practice is believed to have been widely abused throughout the Obama administration. The Republicans have launched a recent effort to eliminate the scheme. Funds were found to be funneled to left-leaning organizations such as the National Council of La Raza, the National Community Reinvestment Coalition (NCRC), and the National Urban League. Trump has said several times that he will renew The Patriot Act. So now you think the Patriot Act is ok, because Trump will use it to bash Mexicans ? ... I just searched on the Alex show to see what I could find. We do have Traitors within. ... sounds like 2002 talk. NEWS FLASH: Our Guy Won! You are trying to divert the issue by accusing me of "2002 talk" - which is pure bs. Nice try, but you need to wake up to what's happening NOW. 2017 talk - extending the Patriot Act is UNCONSTITUTIONAL. Don't you see what's happening before your own eyes? I think Jackson, you close your eyes to what you don't want to see. You cover your ears and hum, to avoid hearing what you don't want to hear. It's ok. You don't have to see or hear anything you don't want to. Fortunately we all have a right (so far) to our own opinions. Act are credible ... probably not. who wants to monitor my every move. So we'll have to wait and see what he does. If Trump doesn't like to have us monitored every minute, then, as president, he can shut down the NSA spying machine. The only thing that matters is whether he follows the constitution - because our freedoms are the most important issue. He is the boss. He can do this. If he can't. then we have to face some hard truths. You going to tell me that its safe for Ed Snowdon to come home now ? I agree, Saty! The globalists have been manufacturing enemies a very long time to implement their agendas worldwide. They play both sides and fund both sides to keep the wars going. The same is happening today! One example of many videos (and docs) available online! That is a bone for contention for me. If Trump renews and keeps that unconstitutional law then I think Alex better start screaming about it. Nothing about the Patriot Act is good for the citizens of this country--NOTHING. I've never heard the word 'Constitution' come out of Trump's mouth. It's been 'hard truth' time about Trump for quite a while imo. To deter and punish terrorist acts in the United States and around the world, to enhance law enforcement investigatory tools, and for other purposes. (a) SHORT TITLE.â€”This Act may be cited as the â€˜â€˜Uniting and Strengthening America by Providing Appropriate Tools Required to Intercept and Obstruct Terrorism (USA PATRIOT ACT) Act of 2001â€™â€™. it the RINOs and DEMS need only 2/3 vote to overturn. ... it depends on what the definition of 'wiretap' is. federal surveillance authorized by a judge? Everybody knew that at the time. That's why the deep state had to threaten Congressmen with anthrax to get it ram-roded through without much thought. Sec. 401. Ensuring adequate personnel on the northern border. Sec. 402. Northern border personnel. cants for admission to the United States. Sec. 404. Limited authority to pay overtime. Sec. 405. Report on the integrated automated fingerprint identification system for ports of entry and overseas consular posts. Sec. 411. Definitions relating to terrorism. Sec. 413. Multilateral cooperation against terrorists. Sec. 414. Visa integrity and security. Sec. 415. Participation of Office of Homeland Security on Entry-Exit Task Force. Sec. 416. Foreign student monitoring program. Sec. 417. Machine readable passports. Sec. 418. Prevention of consulate shopping. Sec. 421. Special immigrant status. Sec. 422. Extension of filing or reentry deadlines. Sec. 423. Humanitarian relief for certain surviving spouses and children. Sec. 424. â€˜â€˜Age-outâ€™â€™ protection for children. Sec. 425. Temporary administrative relief. Sec. 426. Evidence of death, disability, or loss of employment. Sec. 427. No benefits to terrorists or family members of terrorists. Sec. 501. 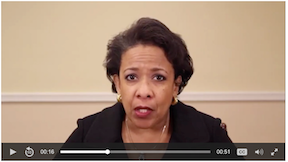 Attorney Generalâ€™s authority to pay rewards to combat terrorism. Sec. 502. Secretary of Stateâ€™s authority to pay rewards. Sec. 503. DNA identification of terrorists and other violent offenders. Sec. 504. Coordination with law enforcement. Sec. 505. Miscellaneous national security authorities. Sec. 506. Extension of Secret Service jurisdiction. Sec. 507. Disclosure of educational records. Sec. 508. Disclosure of information from NCES surveys. Sec. 611. Expedited payment for public safety officers involved in the prevention, investigation, rescue, or recovery efforts related to a terrorist attack. Sec. 612. Technical correction with respect to expedited payments for heroic public safety officers. Sec. 613. Public safety officers benefit program payment increase. Sec. 614. Office of Justice programs. Sec. 621. Crime victims fund. Sec. 622. Crime victim compensation. Sec. 623. Crime victim assistance. Sec. 624. Victims of terrorism. 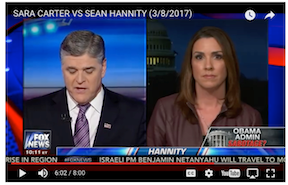 FOX News host Sean Hannity went on the warpath against President Obama and Obama administration officials Valerie Jarrett, Ben Rhodes, and former senior advisor Dan Pfeiffer on Saturday. Hannity grillied the three on the shocking revelations recently outlined by radio host Mark Levin and expanded on by Breitbart News that show that starting in June, 2016 the Obama administration filed requests with the Foreign Intelligence Surveillance Act (FISA) court to monitor communications involving Donald Trump and several advisers. Democrats and the media have used accusations of Trumpâ€™s supposed connection to Russia to assail Trump for months, and since the President was sworn in, have continued to target administration officials such as Attorney General Jeff Sessions and General Michael Flynn, who was forced to resign after giving incorrect information, possibly inadvertently, to Vice President Pence. Meanwhile, the media has joined the attack, throwing out endless questions about Russia and Trump and his team, as well as allowing disgraced Democrat officials like Donna Brazile to use â€œRussian hackingâ€� as an excuse and deflection from their own misdeeds. The video is less than a minute long and begins by stating that people are experiencing â€œgreat fear and uncertainty,â€� with the unstated implication it is due to Donald Trumpâ€™s takeover of the White House. But the strongest words come in a statement that seems to suggest the answer is street action that will inevitably turn bloody and deadly. Senator Ben Sasse (R-NE), delivered a statement on Saturday concerning the accusations President Trump posted to Twitter that President Barack Obama authorized wiretaps on Trumpâ€™s campaign during the recent election. The Senator also noted that Obamaâ€™s spokesman said the accusations are false. 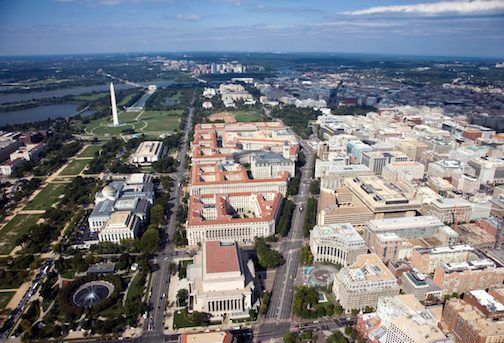 â€œThe President today made some very serious allegations, and the informed citizens that a republic requires deserve more information,â€� Sasse wrote in his statement. â€œIf there were wiretaps of then-candidate Trumpâ€™s organization or campaign, then it was either with FISA Court authorization or without such authorization,â€� Sasse continued. We all know that they can listen to us (or watch us) if they want to. Is it legal? No. But since when has that mattered? Do they listen or watch all the time? Probably not, for that would be a HUGE undertaking. Though if you show up on a list, the chances are greater that you will be watched and listened to. All it takes is one statement or action taken out of context to ruin everything you have worked for. Stand strong. Do and say what you need to. Don't be afraid. The battle is on. And we are going to win. I know it. Love you all!! Reality is real, existence exists. Sunday on Fox News Channelâ€™s â€œFox & Friends,â€� while discussing President Donald Trumpâ€™s tweets accusing the former Obama administration of wiretapping Trump Tower before the election, conservative radio talk show host Mark Levin broke down the wiretapping reporting. speaking to some guy out of turn, and Sessions even bowed out for the same. heads are gonna roll, eventually. Strap yourself in for Watergate 2.0. The second FISA request was submitted in October of 2016 just before the election. 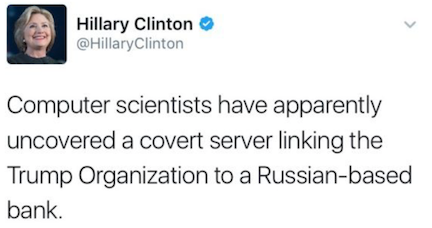 Hillary Clinton sent out a tweet on October 31st stating that â€˜computer scientists have uncovered a covert server linking the Trump organization to a Russian-based serverâ€™. ... one of Clinton's pizza-boys, Tony Podesta: RUSSIAN AGENT. on a contract from March through September 2016." Democrat super-lobbyist Tony Podesta was paid $170,000 over a six-month period last year to represent Sberbank, Russiaâ€™s largest bank, seeking to end one of the Obama administrationâ€™s economic sanctions against that country, The Daily Caller News Foundationâ€™s Investigative Group has learned. Podesta is the brother of John Podesta, who was the national campaign chairman for former Secretary of State Hillary Clintonâ€™s losing 2016 campaign for the presidency. Former President Barack Obama imposed the sanctions following the Russian seizure of the Crimean region of Ukraine in 2014. The Sberbank-Podesta relationship goes back many years. Please, walk with me, and letâ€™s take a tour of the Deep State. Virgil is used to being a guide. After all, in his immortal way, he was the docent for Dante as he traveled through Hell and Purgatory, 700 years ago, in The Divine Comedy. More recently, Virgil has been haunting a different kind of netherworld, here in Washington, DCâ€”the Deep State. Indeed, Virgil is amused to see that â€œDeep Stateâ€� is popping up more and moreâ€”although, of course, when the Main Stream Media use the words, its goal is to deny its existence. That is, the MSM wants you to think that the Deep State is just a paranoid right-wing fantasy, something flitting through the fevered imagination of Donald Trump and his supporters. 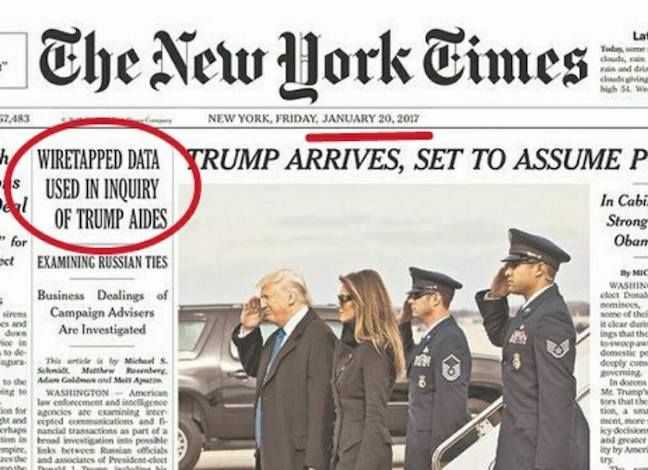 For example, on March 4, New York Times columnist Maureen Dowd mockingly referred to Trumpâ€™s â€œincreasingly paranoidâ€� attitude â€œabout what he sees as the Vast Deep-State Conspiracy.â€� And in another article that same day, the Times again dismissed the phrase. 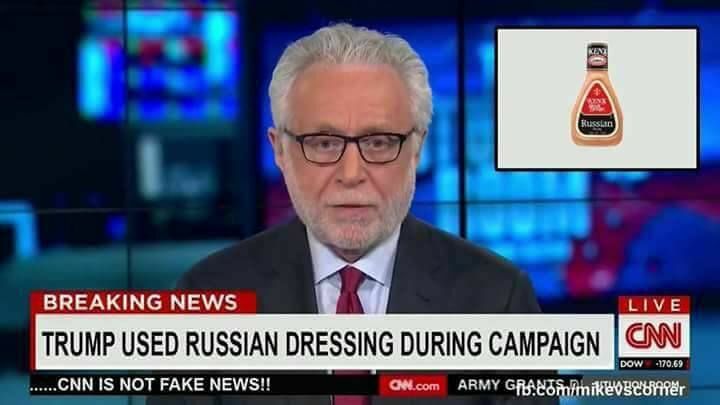 So thatâ€™s the MSM meme: Nothing to see here, move along. "Itâ€™s not paranoia at all when itâ€™s actually happening. Itâ€™s leak after leak after leak from the bureaucrats . . .
and former Obama administration officialsâ€”and itâ€™s very real." ... 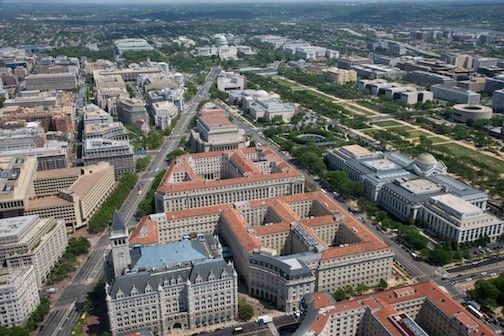 The history of any federal entity is the story of bureaucratic turfâ€”who has it, who gains it, who has lost it. So this is what Deep Statists do in their formal day jobs: They struggle for their share of the federal pie... Yet in addition, in times such as this, when Republicans are riding high, many federal employees feel the need to do moreâ€”much more. That is, they must now fight Trump, as well as, of course, the GOP agenda. Thatâ€™s when veteran bureaucratic infighters turn into Deep State shadow warriors. 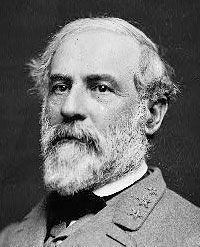 one, that of Secretary Ross." Democrats are suddenly worried their â€œRussia hacked the electionâ€� narrative may boomerang into a catastrophe of their own making. 1) Obama former Director of National Intelligence James Clapper told NBCâ€™s â€œMeet the Pressâ€� Sunday there was â€œno evidenceâ€� at all of collusion between the Trump campaign and the Russian government. 2) Leftist reporter and severe Trump critic Matt Taibbi warned in Rolling Stone on Wednesday of â€œbig dangers for the pressâ€� and a â€œdangerous gambleâ€� by the Democratic Party for pursuing a story that Clapper said was supported by no evidence. And that would, indeed, be a Watergate-level scandal. As every conservative knows, the left has been far more effective, in recent decades, at winning in the courts than winning at the ballot box. And yet on many issues, a win is a win: If a judge orders the government to take action of a certain kind, well, oftentimes thatâ€™s itâ€”thatâ€™s the ballgame. No wonder the left is so tight with the lawyers! ... Ms. Carter is a National Security correspondent and has broken her silence to reveal that Trump is right! There was not only one investigation into Trump and his servers while he was running for president, there were TWO! At the moment it's a nothing burger I'm afraid. 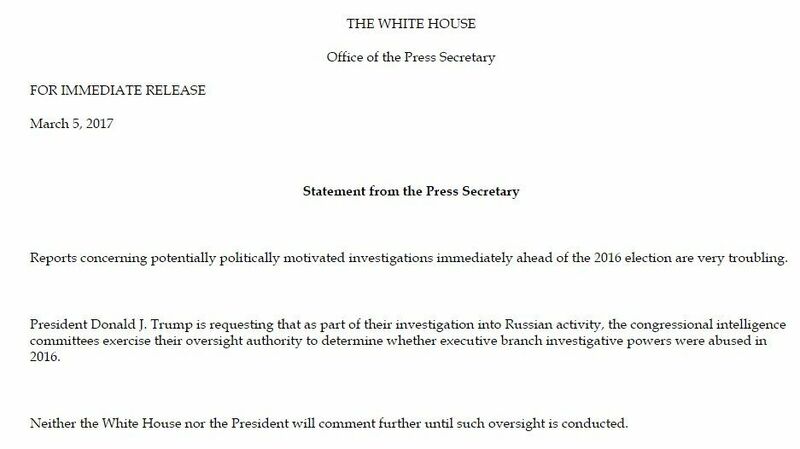 We already knew that there were ongoing investigations of persons in the Trump campaign about Russiagate.